Si quieres leer el artículo en español, pulsa aquí. 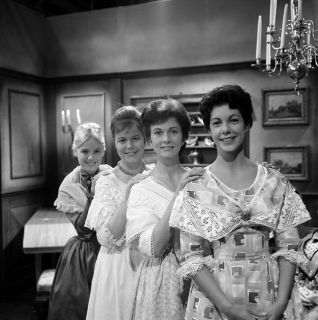 Reinier Wels, that as you well know, has collaborated with a wonderful article and looking for great old pictures, send us a full entry about the Dutch 50s version of Pride and Prejudice, called "De Vier Dochters Bennet" (The Four Bennet Daughters). 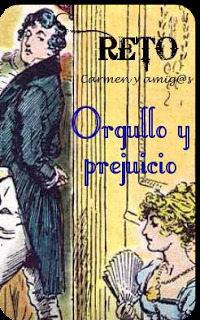 A previous blog discussed all the BBC adaptations of Pride & Prejudice that are now lost. However, what we didn’t mention is that there are also two other TV series, one from Italy in 1957, and one from the Netherlands. (There also was a Spanish adaptation in 1 show, now lost.) The Dutch series had 6 episodes of 45 minutes each, and was on TV from the 4th of November 1961 to the 24th of March 1962, with generally about a month between each episode. The title, “De vier dochters Bennet”, means “The four Bennet daughters”. Four, because there is no Kitty in this version (the BBC version from 1967, on the other hand, left out Mary). In general, the story progresses like we would expect, and the characters have the same history, the same attitudes, and the same relations to each other. 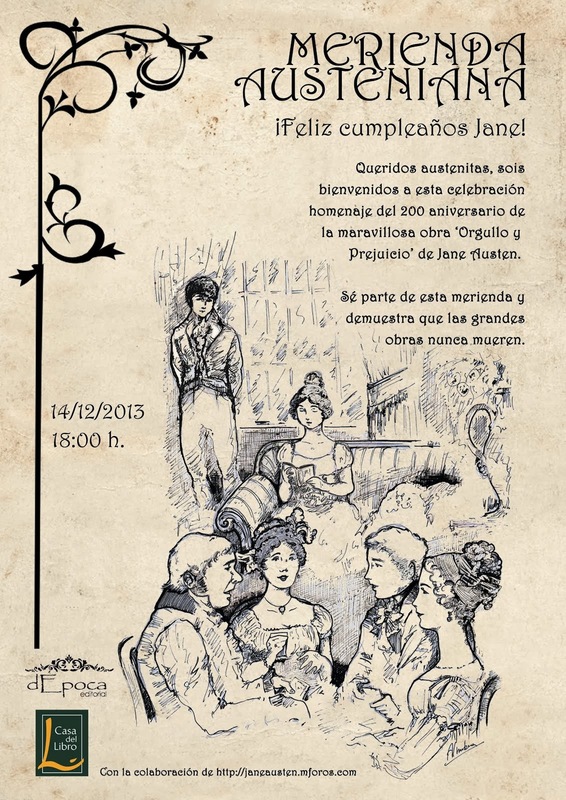 Even without subtitles it will for example not be difficult to recognize Mr. and Mrs. Bennet by their mode of speech. Their names and the story itself have not been ‘nationalized’, but are still set in England. All the familiar scenes and sentences from the story have been translated more or less faithfully. However, there also are some differences. Apart from a few extra scenes, including a silly joke about French (or string) beans, we get to see the negotiations between Darcy and Wickham, which boil down to how much money he can get out of Darcy. The talk in this series is more direct than what we’re used to. I’m not sure if this is because it’s the sixties (the 1967 BBC series also shows Lizzy more rude than we’d expect her), or because the Dutch are generally less subtle and don’t beat about the bush. Possibly both causes are to blame. The translation was done by Lo van Hensbergen, who was more active as an actor on Dutch TV (this series appears to be his only writing credit). Although the opinions that Lizzie or others express are more frank and sometimes more modern than in the book, some of the words used in Dutch are old fashioned, and are now no longer part of the everyday language (e.g. “schimpscheuten” or gibes). 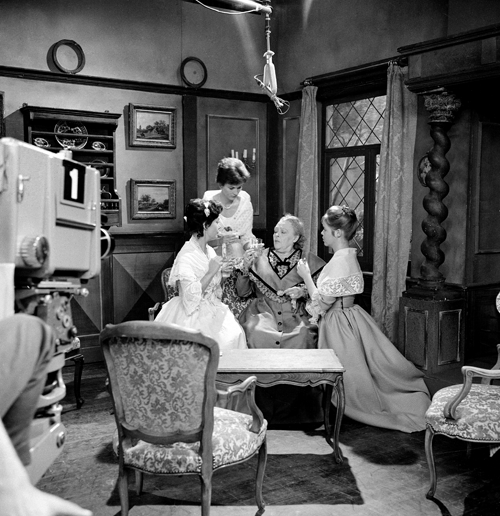 As mentioned in the earlier blog, early television was often done live, and this goes for “The four daughters” too. Once or twice you can spot someone using the wrong name or forgetting a line. Occasionally, some of the supporting actors carry on a scene for a bit longer, I suspect this was to give the lead roles time to prepare on the next set. For most actors, this was one of their first parts on TV. 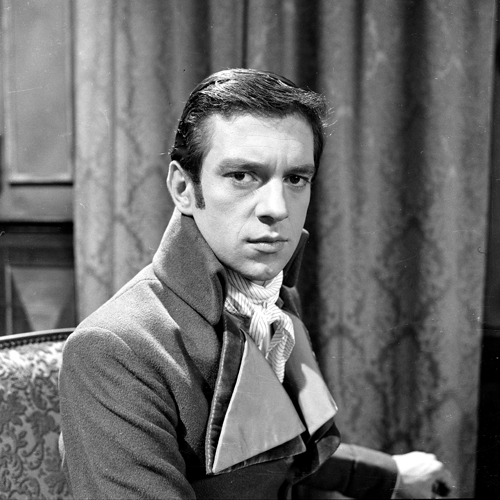 Frans ’t Hoen (Wickham) however died a few years later. 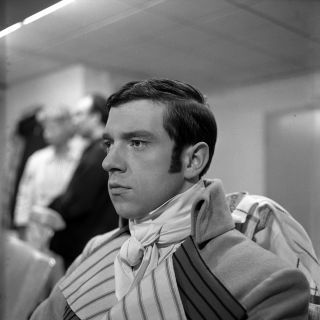 Lies Franken (Lizzie) had already had a handful of roles and would play in eight more productions. Better known is Pieter Lutz (Collins), perhaps the best actor of the cast, here only in the second role of his career, but who later played in many Dutch TV series, and who died only recently (in 2009). Those last two things also apply to for Ramses Shaffy (Darcy), although he is better known as a musician. A few years ago the series has been repeated on a digital channel. Because of that, copies are now not so hard to find as they once were. Volunteers are currently working on English subtitles. 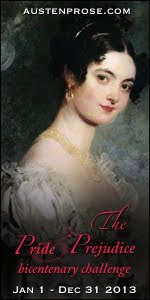 We hope they will be available during 2013, in time for the book’s 200th birthday.